WHY ATTENDING BIO CONVENTION THIS YEAR AND HOW TO TAKE THE MOST OF IT? Does it sound familiar to you? If you are in this sector I can bet you receive at least one call a month from “John calling you from London”. John usually offer you a unique opportunity to meet clients and to increase your business. The uncomfortable part comes when you say that you are not interested and then John looks very surprised as he cannot understand how you are missing “THE OPPORTUNITY” of your life. 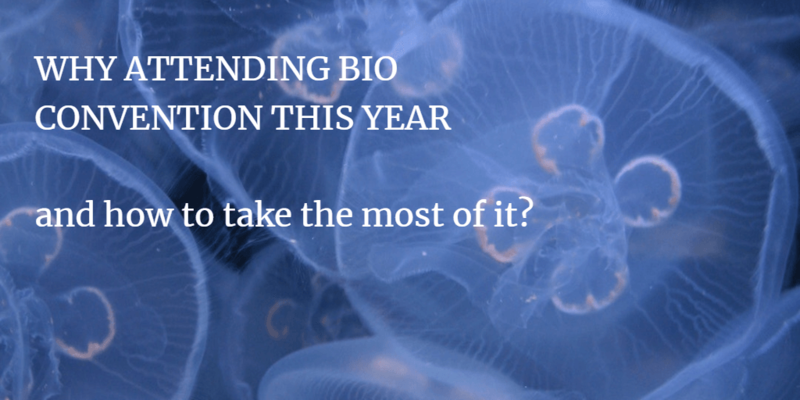 Why I think attending BIO Convention is an opportunity that you can’t miss? We have been attending BIO convention 3 years in a row and although there are millions of events to choose from, we keep on going to this one, and we are determined to make it “The event” of the year. As Leon Research, many other European SMEs are attending BIO Convention 2018. And going to a Biotech event across sea means a big effort in time, money and resources. This fact can guarantee that it is a good environment to do business, because from a psychology point when doing a huge investment, we will work to make it count. How to get most of BIO Convention? The fact that there are thousands of people attending is a good sign but it can be overwhelmed. Where should we start? A good start would be to reserve a spot in your agenda once a week. Organization is the key to success, so this is preparing an agenda with all the sessions that are interesting to you and that you are planning to attend as well as all the meeting, partnering meetings and social events that you will attend during your days in Boston. Last year there were 1.800 exhibitors. It would be a pity not to block out some time to visit them. First of all, study the plan floor to know which areas will be more interesting for your company and then pick the companies that you would like to meet. Apart from the partnering there are multiple events to meet other people, some of them in a more relax environment. Take advantage of them and enjoy your stay. One of the main attractions of BIO Convention is the BIO one on one partnering that is a platform to identify potential partners to set up meetings within the event. BIO organize some webinars to take the most of it, but here are some of the main tips to be followed. Start working on the BIO partnering at least 2 months prior to the event. Complete your profile with all the relevant information about you and your company, the completer the better. Use targeted requests to your potential clients and include in your request the main benefits that you offer to your clients and the reasons to meeting you. The subject of your meeting request is crucial to the percentage of acceptance. Use a personalized and attractive subject so the company would like to meet you. Social media is a good way to share that you are attending the BIO convention and to share interesting information about the event. Here their Linkedin, twitter and facebook. LinkedIn as the main B2B network is a good tool to be used prior to the event by searching the contacts that are in the area of the event and contact them to set up a meeting during or after the BIO Convention. Follow up the contacts that you have made during the event and send them the information about your services or your company that would be of their interest. After all I said, Why is different BIO Convention from the proposal from “John calling from London”? Mainly, the size of the event. As a huge event, the opportunities are also huge, but it is not easy job as you would have to work to obtain results.